The Mews Cottage was part of the barn conversion within the grounds of the Chateau & overlooks the main courtyard. Large luminous 6.5m x 6.5m living room with armchairs & sofa, English TV & DVD player, woodburning stove, dining area & an open plan fully equipped kitchen with oven, four hotplates, microwave, fridge/freezer, washing machine and dishwasher. Ground floor shower room & WC. At the rear there is a terrace with a tables and chairs, & parking for 2 cars. There is also a table & chairs on the front shared lawn. 2 double bedrooms on the first floor, one of them having a typical Norman lit clos double bed, & a bathroom with WC. On the top floor is a twin bedded mezzanine room. The Mews is heated by electric heaters. It is ideally situated in lovely countryside, 8km from Cherbourg and only 30 minutes from superb Gulf Stream beaches opposite Jersey. The Mews Cottage is next to the Carriage House & both are south west facing. 7 km from local golf course. 30 km from links course. Nous avons beaucoup aimé le jardin devant le château et les volumes du cottage. Également, les conseils de visite de Mark étaient appréciables. 30 km from superb gulf stream beaches opposite Jersey. 25 kms from D Day landing beaches, 1 hour from Bayeux, 2 hours from Mont St Michel. There is a very good choice of local restaurants nearby (a local bar serves an excellent 4 course supper for 15 euros inc. wine or cider). A hypermarket is just 5 minutes away. There are numerous sporting and tourist activities in the area, including golf, cycling, horse-riding and water sports. 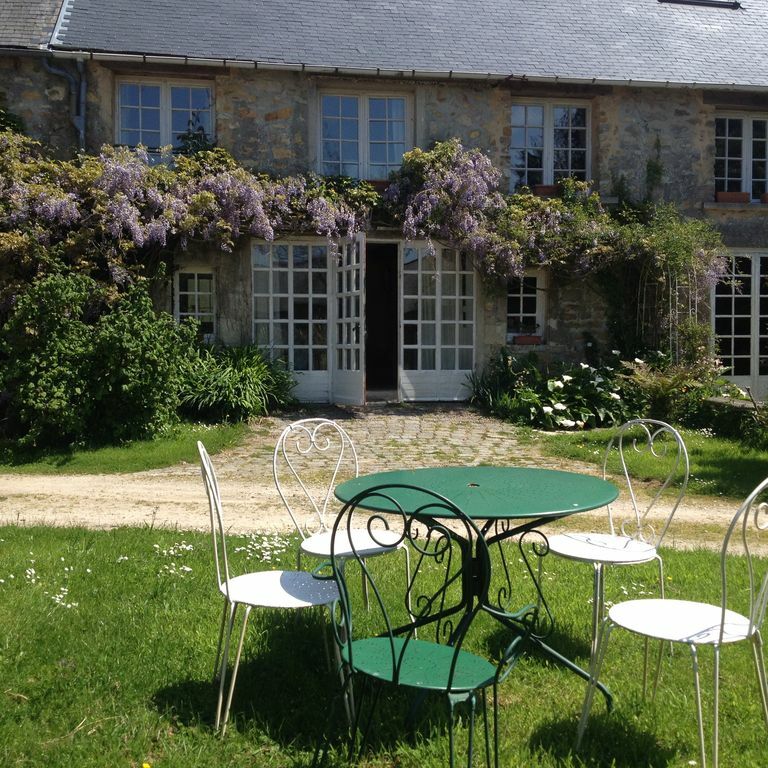 The Mews Cottage is an ideal base from which to explore Normandy or just to holiday in beautiful surroundings.